Super Grover saves your day. 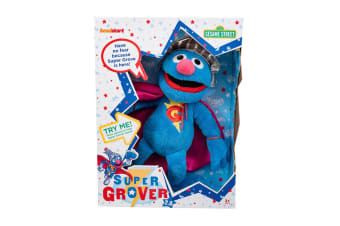 Have no fear because the Sesame St Super Grover Talking Plush is here! Sesame Street’s friendly neighbour is here to save the day!